Members of the WMUK staff have a total of 166 years of experience in broadcasting. They are dedicated to serving you by keeping listeners informed on local and worldwide issues and events as well as broadcasting programs that serve to enrich our community's quality of life. Anders Dahlberg oversees WMUK's Underwriting program, arranging corporate support for our programming. He has worked for many years with local non-profits and the arts and education communities, and can be reached at 387-5647. Cara Lieurance produces In Concert! for WMUK. She's also one of our regular classical music hosts, and co-host (with volunteer Dave Marlett) of The Pure Drop. A music and communications graduate of WMU, Cara has been with WMUK since 1989. Gordon Bolar brings 16 years of Public Broadcasting experience to the position of General Manager at WMUK. Gordon served with Public Television and Public Radio stations in Grand Rapids and Anchorage Alaska. He was also WMUK's Development Director for 5 years. WMUK's Morning Edition anchor, Gordon Evans is also an accomplished reporter and interviewer. A 1990 graduate of Michigan State, he came to WMUK from WAAM in Ann Arbor. Classical music host Jack Perlstein began his radio career at WMUK in 1973. He later worked at WITF-TV/FM in Harrisburg, PA, and was music director for WWFM/WWNJ in Trenton, NJ. 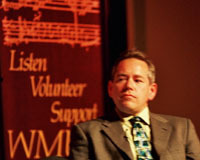 Program Director Klay Woodworth has been with WMUK since 1990. He's overseen daily operations for us since 1994. Before coming to radio, Klay was a market researcher and worked with several symphony orchestras as both a musician and administrator. 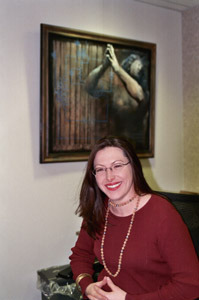 Lorraine Caron produces arts interviews and features for WMUK. She's also the co-host (with volunteer Mark Sahlgren) of Grassroots. Lorraine began working in radio at KUNM in Albuquerque, New Mexico in 1976. 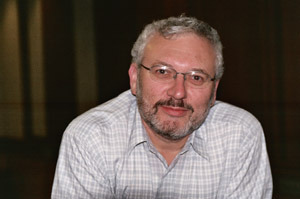 Mark Tomlonson has been WMUK's Chief Engineer since 1984. In addition to his responsibilities for technical quality at the station, Mark also records concerts for WMUK. 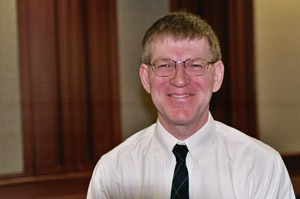 He was previously Chief Engineer for WBST in Muncie, IN and WAYT in Wabash, IN. Martin Klemm is often seen in our community's concert venues, making recordings for broadcast on WMUK. Martin has worked in commercial record studios on the west coast and as a technician for WMU's Gold Company. Now he's busy in our own studios as a sound engineer, equipment troubleshooter, and transmitter technician. Victoria Davis is in charge of Membership Services and Accounting for WMUK. Working closely with our General Manager she is an important part of fund drives, special events, and working with our listeners to help them in any way possible. She has been with WMUK since 2005. Rebecca Thiele became the Arts & More producer for WMUK in 2011. Rebecca also anchors during All Things Considered and assists the station with social media practices. She is a proud graduate of the University of Missouri School of Journalism. Kim Willis has worked in non-profit development since 2005 and joined WMUK in 2012. She works closely with Listener Services and the General Manager on special events, volunteer coordination, donor and volunteer communication, and fund administration. You’ll often find her at the front desk greeting visitors. WMUK is a Broadcast Service of Western Michigan University. Copyright © 2019 - WMUK 102.1 FM - All rights reserved.